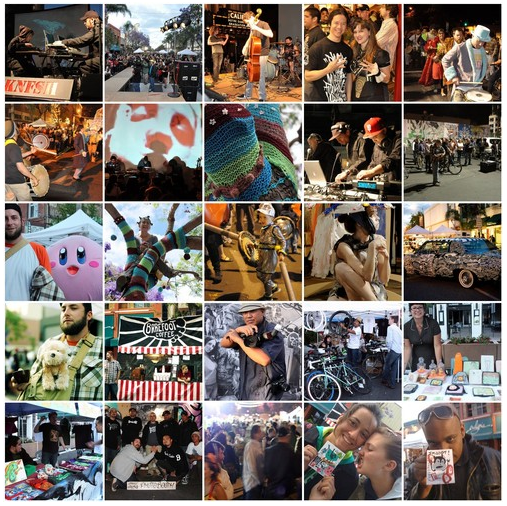 The San Jose Blog: The SubZERO Festival Kicks off Tonight!!! The SubZERO Festival Kicks off Tonight!!! Focused on emerging and present subcultures thriving in our region, SubZERO is a DIY, artistically bent, hi/lo-techno mashup where street meets geek. Come downtown on June 5th & 6th to San Jose's SoFA District from 6pm 'til midnight for an inspired evening of arts & culture. In addition to the South FIRST FRIDAYS monthly art walk you'll find outdoor stages of entertainment plus artists, performers & musicians celebrating the indie creative spirit! Even that might be underselling it. There are hundreds of art exhibits and live performances spanning multiple blocks, all of them free. Three different stages will be playing live music. 13 Food Trucks will keep you nourished and a beer garden focusing on local craft beers will help your brain absorb all of that art and culture. Hope to see you guys there! To see the full list of galleries, artists, vendors, musicians, food trucks, and craft brewers head over to the SubZERO website!